After picking up my 1918 vintage Burroughs adding machine near Tulsa, I had a chance to drive through a bit of the countryside before heading back to the Twin Cities. 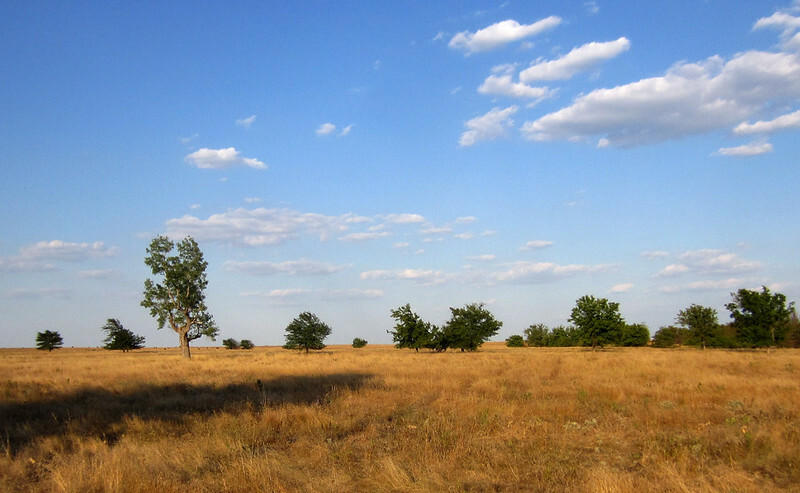 My mental picture of Oklahoma has always been something like this: lots of open space, cattle grazing on the prairie and an occasional oil well pumping nearby. Even the trees in the fields make a pretty picture. 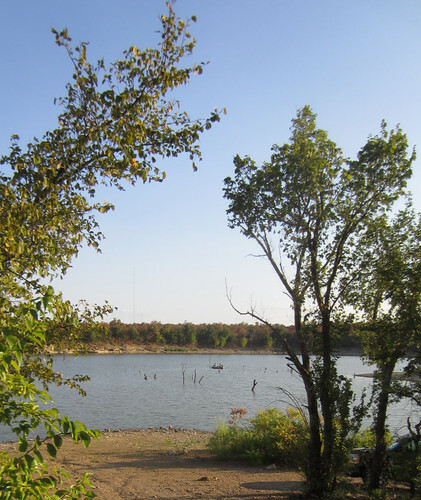 These pictures were taken near the town of Talala, close to the Lake Oologah reservoir where this pair of bass fisherman were exploring some of the local structure. And the sunset! I feel like making a special trip back just to capture one like these. 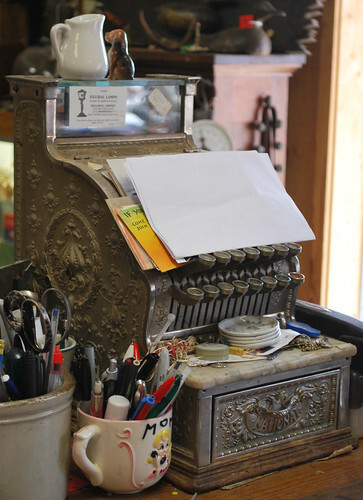 I spent the past four days on the road driving down to a northern suburb of Tulsa, Oklahoma to pick up an adding machine that I bought on eBay. More about the adding machine ( it weighs 75 pounds) later. Traveling south from the Twin Cities, I noticed that the green color disappeared from the farm fields, highway medians and the like about halfway to the Iowa border. 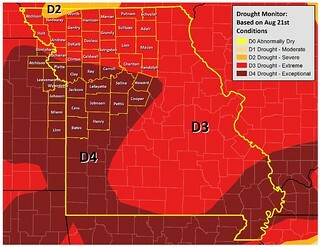 If you were not aware of it, this has been a summer of serious drought in corn country. How bad is it? Well, this is a corn field in Minnesota, just south of the Twin Cities. 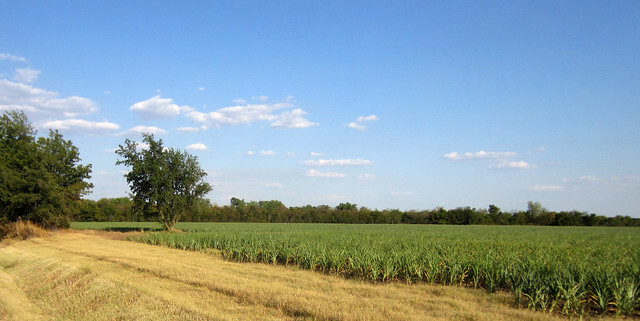 And, this is a corn field in northwest Missouri. This gives you a feel for what a chart like the one in this report means. 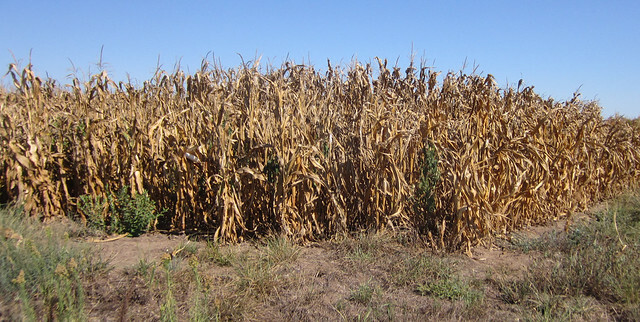 And since 40% of the nation's corn crop goes to fuel, via government mandate, all of the drought-related shortage is going to come out of the food supply. Explanation here. Expect higher prices! 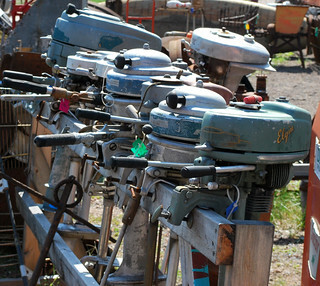 We can't go through Spooner, Wisconsin without making a stop at Poor Richard's Antiques. We've been stopping there for over thirty years. I notice that there is a "for sale" on the whole property. Perhaps it will soon be gone. They used to be in a house in the city and a nearby shed but soon outgrew that. How to describe this place? Eclectic? Unusual? I picked up a 1919 issue of Railroad Telegrapher on this stop. 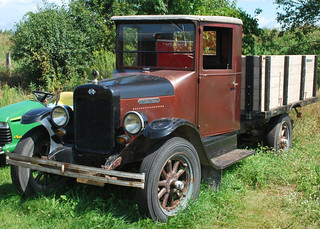 Take a look at the wooden runabout and the International truck in the front yard. 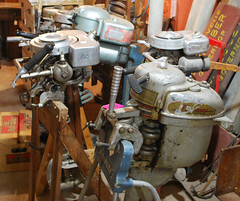 One specialty of Poor Richard's is the old outboard motor. These models, kept indoors, appear to be real classics. But don't overlook the "newer" models out in the yard. 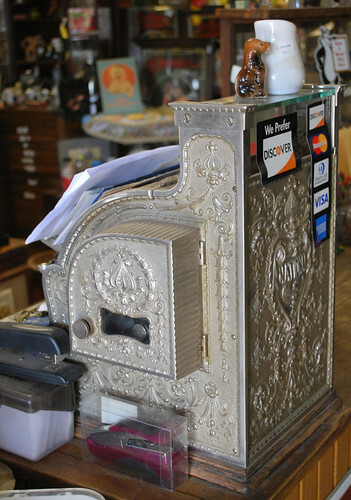 And, at the checkout counter, they have an old NCR cash register. 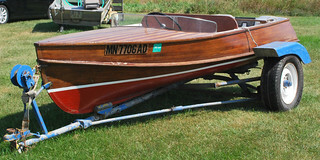 Not as great a model as the one in Hico, Texas, but it is is good condition and they actually use it. 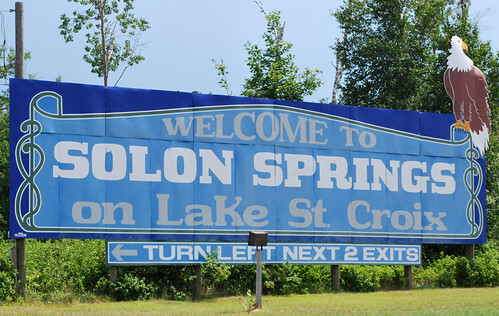 We had to take a trip down to New Richmond, Wisconsin from our lake cabin in Gordon last weekend. Along the way, Linda spotted a "muffler man" near Spooner. (See this post for more information about this line of sculptures.) We came back a couple of days later to get a closer look. 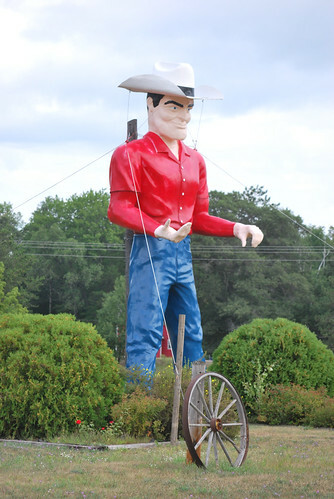 Muffler man in Spooner is dressed as a cowboy and greets visitors to a go-kart track along highway 63 just east of the town. He's a little difficult to photograph with all those guy wires and a post behind him. Apparently, knocking down muffler man is something of a sport with the local teenagers. He had been brought to the ground a couple of times before the post went up behind him for additional support. Once, they had to "call out the fiberglass man for repairs, you know." Some years back he had been located downtown. The track owner "bought him from the bank, you know," I was told by the attendant. Reportedly, he once stood at Mel's 66 Truck Stop, which has been out of business since 1975. Over the 4th of July holiday, I headed into the hardware store in Solon Springs to pick up some items. 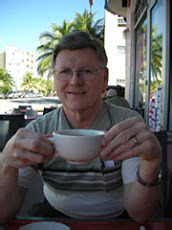 I blogged about their holiday parade a couple of years ago in this post. On the way into town, I noticed a small sign saying "Car show." Sure enough, there was a major car show underway up by the brand new Dollar General! I found out it ran two days and Linda and I came back the next day to look over the display. 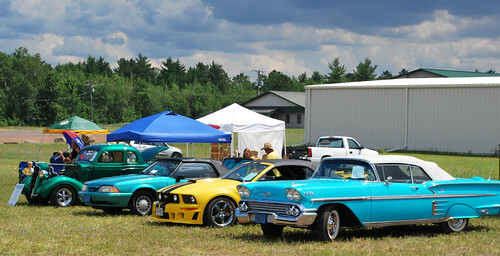 There were 50's and 60's Chevys but those aren't really classics. Heck I owned a couple of them. 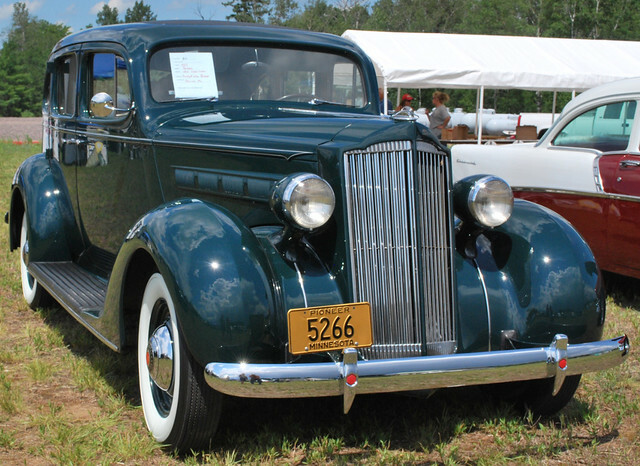 But this 1932 Packard. Now that's a classic car. I hope the owner won some form of award. It was a good show. 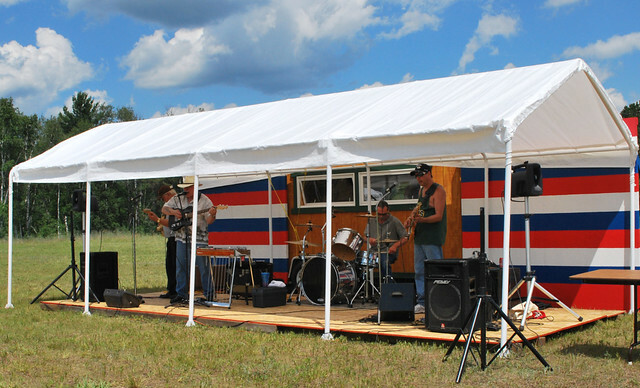 They even had a band playing some blues and some Credence. Glad I saw that sign. Mahtowah was a thriving community back in 1900 although it wasn't big enough to have its own newspaper like Barnum, Moose Lake and Carlton. 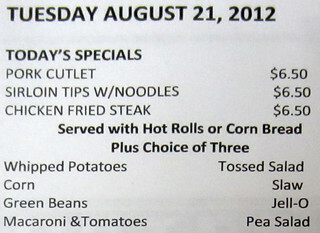 Driving down I-35 from Duluth, you'll probably notice the billboard for TJ's Country Store - You never sausage a place! Well, here is TJ's. Sunday, there was a farmers market at TJ's and there seemed to be quite a few people in town. This is a surprising meat market with a large processing facility attached and what a variety of sausages! 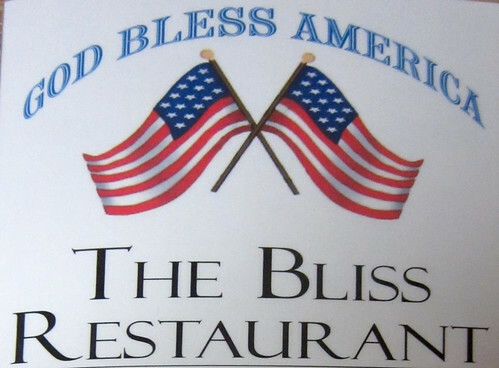 I stopped on the way back and picked up a package of Cajun Brats. Ummmmmm, gooood! We had some for dinner that night. Worth getting off the highway to just pick up some meat. 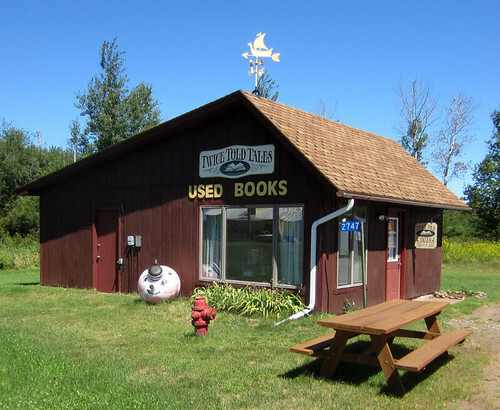 And right next to TJ's you can find a used book store, Twice Told Tales. 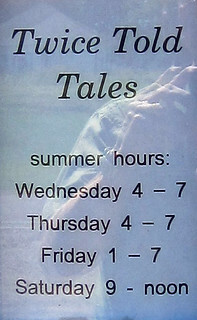 Not open on Sunday but here are the hours. I saw the steeple of a church from the trail and took a detour to investigate. 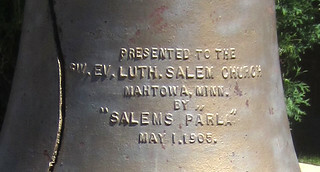 The church has a large, but cracked, bell mounted out in front. 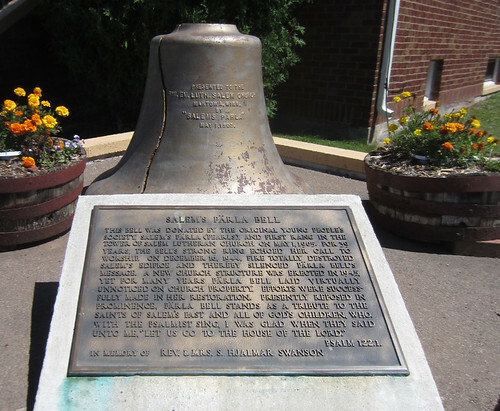 If you read the inscription on the bell you might be puzzled by its meaning, but a nearby bronze plaque explains it all. Well, maybe not all. 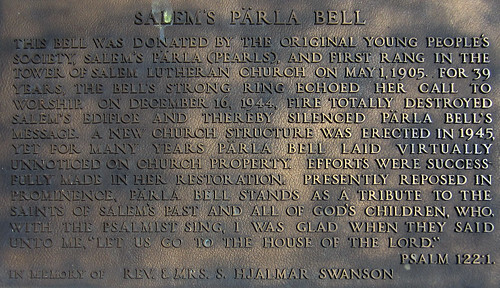 What about that "SW." in the inscription on the bell? 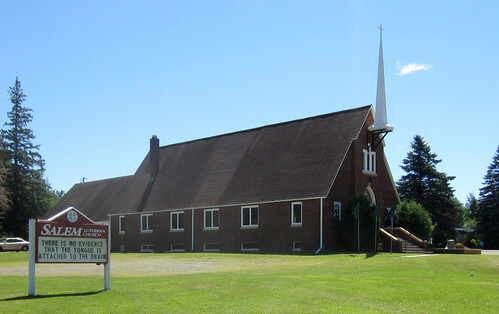 Swedish Evangelical Lutheran! The Swedes, Norwegians and Germans all had their own idea of a proper Lutheran church back in 1900. Linda has been bicycling regularly at our lake cabin in an attempt to pedal 2000 miles during 2012. 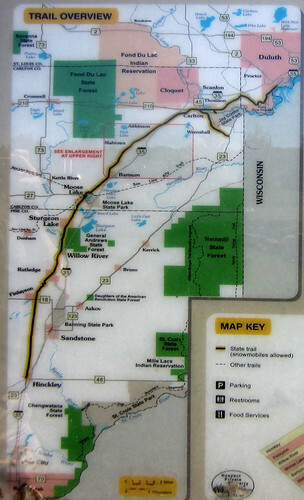 I suggested that we drive over to Minnesota this weekend and get in a little mileage on the Munger Trail. She was enthusiastic about the idea. 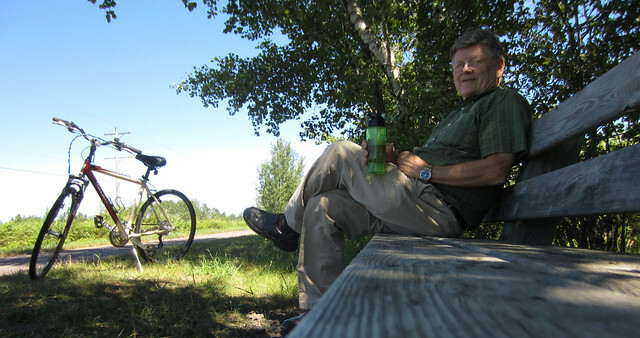 We covered about ten or twelve miles of it last year from Barnum down to Sturgeon Lake. 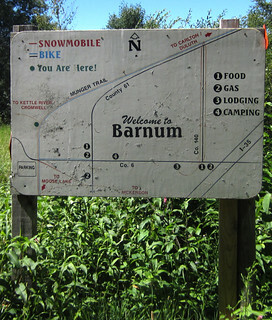 So this time we started at Barnum and headed north toward Duluth. 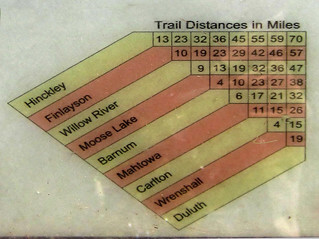 The Munger trail covers seventy miles between Hickley and Duluth. It is paved and lies on the roadbed of the old Skally Line railroad that first connected St. Paul and Duluth back in about 1871. 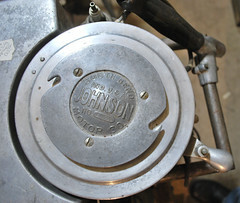 It is generally a nice flat ride from Hinckley to Carlton. We left the trail parking lot in Barnum and found lots of markers along the route. 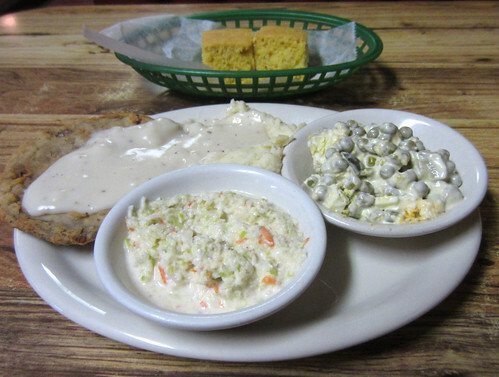 The first town we encountered was Matowah and that deserves its own blog post. 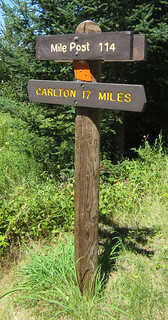 Linda pressed on well beyond Carlton completing 42 miles on her round trip. I prefer to stop and smell the roses so I only got in 26 miles. 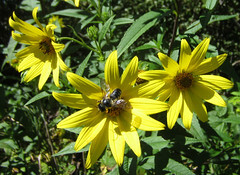 Well, they weren't actually roses, this week, but some very pretty yellow flowers. 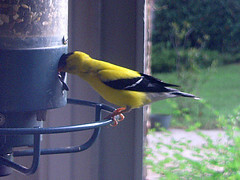 I have always wondered how Gold Finches survive when they are so visible at our home feeder. When I saw one dart into these yellow flowers along the trail, the bird completely disappeared and I understood how they fit into the big picture. 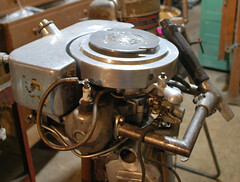 In addition to Mahtowa. 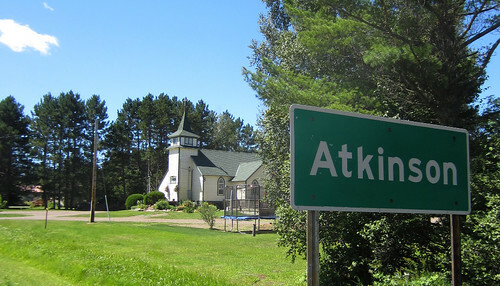 I only traveled far enough on the trail to see one other town, Atkinson. 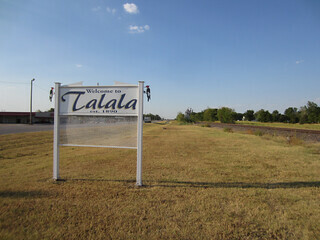 It isn't very big compared to the thriving Mahtowa but the sign and a former church along the road make a nice picture.